The Center offers workshops to provide parents with tested parenting strategies in a fun group setting. 1-2-3 Magic & 1-2-3 More Magic is a two part program that meets every month, except during the summer. The first part, 1-2-3 Magic, gives parents tools and strategies for stopping their child’s unwanted behaviors, like whining, arguing, and tantrum-throwing. 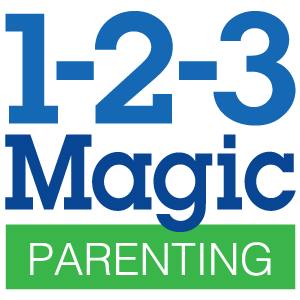 The second part, 1-2-3 More Magic, teaches parents how to encourage and reinforce their child’s positive behaviors, like picking up after themselves, eating their vegetables, and going to bed on time. Call us at 814-438-7550 to sign up or get more information. Parenting Counts is an interactive class for you and your child (prenatal to 3-years-old) complete with free childcare, a meal, gift cards, and prize drawings! Parenting Counts is divided into two groups. Life With Baby, for parents of children under 12 months old, helps answer parents’ questions about bringing home the new baby and gives them tips for this crucial period of child development. Life With Toddler is for parents of children between ages 1 and 3, and teaches them how to help their toddler learn and grow in a healthy, encouraging environment. For more information or to sign up, call us at 814-438-7550.